The Attends bibs help to reduce laundry costs while providing a simple way to keep clothing clean. The bibs protect the clothing from food or medical spills, as well as from drooling or illness. They cut down on the need for clothing changes. These bibs will reduce the number of clothing changes for people who need feeding assistance, or who suffer from health conditions that may result in shaky handling of utensils during meals. There’s no need for ties or reaching around the head to put the Attends bibs in place. The bibs simply attach to the shoulders with the adhesive tape. They stay in place for the duration of the meal, then are easily removable when done. They can be folded up and placed into the bin. The adhesive tape contains a special fixation substance that holds the bib in place but that won’t harm clothing. It won’t leave behind a sticky residue. Both patients and caregivers can easily place the adhesive tabs. Simply pull off each of two paper strips and attach to shoulders. 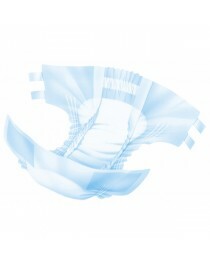 The bibs are white in colour and are fully disposable. They’re made from plastic and provide an effective barrier to keeping foods and liquids from seeping through and onto clothing—shirts, blouses, jackets, skirts, pants, dresses, etc. There is an highly absorbent front sheet so if there are spills, they will be fully absorbed into the fabric, and stay there through the duration of the meal. Bibs may also be used during personal facial care, without getting soap, water, toothpaste or lotion on the clothing. 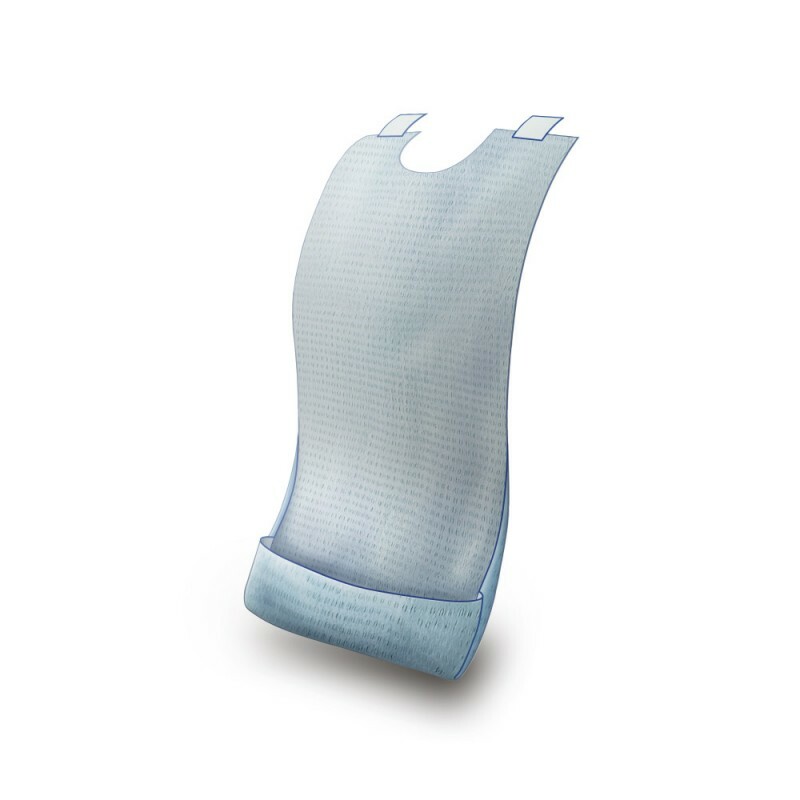 The bib has an additional feature to keep your loved one or patient clean during a meal. There is a plastic front pocket that will help to trap spills or food debris. This pocket needs to face the outside. One package contains 250 bibs. The Attends bibs are an affordable way of managing an embarrassing problem, and will help to decrease the amount of laundry that caregivers must do. The bibs fit every size of person and will stay securely in place for as long as you need them. • Cuts down on laundry costs by keeping clothing clean. • Simple, discreet design to lessen embarrassment. • Highly absorbent sheet to manage spills.